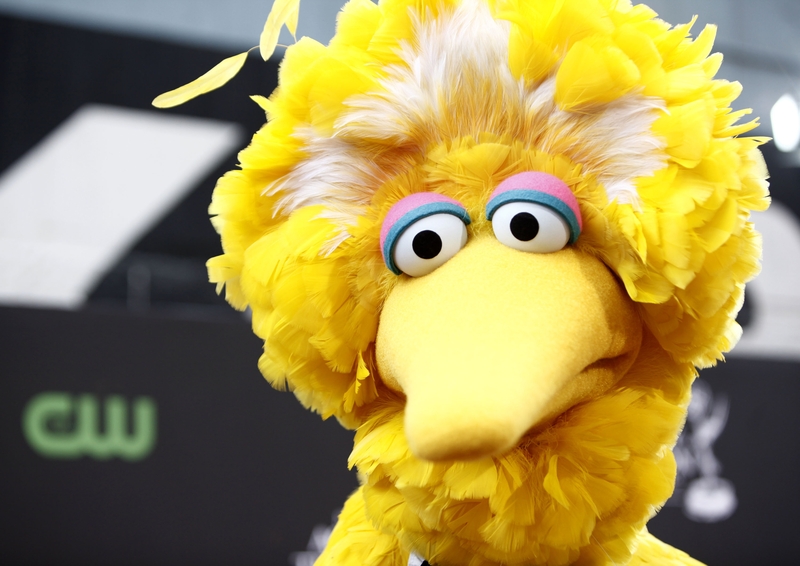 As Republicans and Democrats wait eagerly for reliable polling information to measure the impact of last week's presidential debate, talk has turned - somewhat improbably - to a suddenly-controversial American entertainment figure: Big Bird. The over-sized bird, who has starred on the PBS children's show "Sesame Street" since 1969 and according to Wikipedia can roller skate, ice skate, dance, sing, write poetry, draw and even ride a unicycle, has lately found himself at the center of a political controversy, as candidates of both stripes have taken to projecting their political messages in the image of the 8'2'' primrose-yellow bird. The rousing debate kicked off after last week's presidential debate, when Mitt Romney invoked Big Bird's name in addressing cuts he would make to reduce the deficit. "I like PBS, I love Big Bird," Romney told debate host Jim Lehrer, of PBS, when explaining some of the budget cuts he would make if elected. "But I'm not going to -- I'm not going to keep on spending money on things to borrow money from China to pay for. That's number one." In 2012, the Corporation for Public Broadcasting, which helps support PBS, NPR, American Public Media, and Public Radio International (PRI), received about $445 million - or about 0.012% percent of the nation's fiscal budget -- in federal funding. Democrats point out that cutting funding for the CPB would do little in and of itself to ease the nation's economic woes. The Obama campaign, facing widespread criticism about Mr. Obama's performance in that debate, quickly seized on Romney's comment: The president was invoking the fictional giant bird on the campaign trail as early as Thursday morning, and various Big Bird wannabes have been popping up at Romney events across the country. "He'll get rid of regulations on Wall Street, but he's going to crack down on 'Sesame Street.' Thank goodness somebody is finally cracking down on Big Bird," Mr. Obama joked at a campaign rally in Madison, Wis., on Thursday. "Who knew that he was responsible for all these deficits? Elmo has got to watch out." Today, the campaign piled on to the Big Bird theme, with a new ad portraying Mitt Romneyas more concerned with cracking down on Big Bird than on Wall Street criminals. "Big, yellow, a menace to our economy," the ad threatens, quippily. "Mitt Romney knows it's not Wall Street you have to worry about, it's 'Sesame Street.'" In an effort to stay above the political fray, the producers of "Sesame Street" are objecting to the ad and asked the Obama campaign to take it down, a request Mr. Obama's team says it is considering. But Jen Psaki, traveling press secretary for the Obama campaign, doubled down on the Big Bird theme in a press gaggle on Air Force One. "There's only one candidate in this race who is going to continue to fight for Big Bird and Elmo and he's riding on this plane," Psaki told reporters. "Aside from our love for Big Bird and Elmo, as is evidenced by the last few days, the point that we're making here is that when Mitt Romney - given the opportunity to lay out how he'll address the deficit - when he said 'I will take a serious approach to it,' his first offering was to cut funding for Big Bird. And that is absurd and hard to take seriously his specific plans." And even while Romney and Republicans ridicule the Obama campaign over its fixation on the big yellow bird, they nevertheless keep bringing it up. "The reviews are in on the Obama campaign's new Big Bird strategy and it's not a sunny day on Michigan Avenue," said Tim Miller, a spokesperson for the Republican National Committee, in an email blast. Romney, too, added his two cents on the issue: "These are tough times with serious issues," he said at a campaign stop in Iowa. "So you have to scratch your head when the president spends the last week talking about saving Big Bird." Big Bird, for one, made his message clear in an appearance last week on "Saturday Night Live." "I don't want to ruffle any feathers," he said.